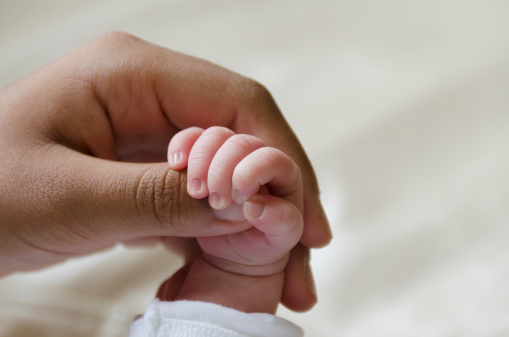 Virginia birth injury lawyers at Eisbrouch Marsh are dedicated to helping children who have been adversely impacted by negligence during the process of labor and delivery. We pride ourselves on offering each and every client an unsurpassed level of personalized attention and zealous advocacy during what is almost certainly the most trying time of their lives. Each of us believes that it is our responsibility to seek justice and fair financial compensation for those who have needlessly suffered due to medical errors that were likely preventable. The immediate aftermath of a birth injury can be an extremely confusing time for parents. The severity and gravity of the disabilities that can follow medical negligence during delivery can come as a shock, and many mothers and fathers have no idea how they will be able to cope. Because birth injuries often necessitate a lifetime of costly medical treatment, rehabilitative services and special educational programs, many worry that their finances will be stretched to the limit indefinitely in order to provide proper care to sons and daughters who have been so seriously harmed. Fortunately, we possess the knowledge and skills to conduct a comprehensive review of the facts, provide candid opinions about available legal options and begin the process of holding responsible parties accountable. As is the case in most other jurisdictions, the Virginia legislature has imposed a limitation on the time prospective plaintiffs have to file a medical malpractice action. In Virginia, medical malpractice actions relating to injuries sustained (in contrast to those relating to death) are required to be brought within two years of the injury date. A wrongful death action must be initiated within two years of the date of death. A parent wishing to file suit for medical expenses relating to injuries to a minor must do so within five years of that injury. A medical malpractice lawsuit brought by a minor needs to be started within two years of the last negligent act, but if the child is under eight years of age, the action must be brought before the child turns ten. Certain state legislatures have decided to impose limits on the dollar amount of damages that plaintiffs may receive in medical malpractice actions, and Virginia is among them. Unlike many other jurisdictions, the damage cap in Virginia applies to damages of all descriptions and does not differentiate between economic and non-economic damages. Virginia’s cap takes the form of a series of annual increases currently set to cease in 2031, when the damage limit will hit $3 million. Cases arising between July 1, 2013 and June 30, 2014 have a damage cap of $2.10 million, and cases arising between July 1, 2014 and June 30, 2015 are capped at $2.15 million. Prospective birth injury plaintiffs in Virginia should be aware of the fact that while the state does not have a broad-based patient compensation fund, it does have such a fund specifically designated for birth-related medical malpractice. This fund is meant to cover babies who have suffered permanent disabilities such as brain and spinal damage stemming from oxygen deprivation during birth or from mechanical injuries sustained during labor. Analogous to a no-fault program, this fund serves as the exclusive remedy for such children and their parents and provides a lifetime of medical expense reimbursements and payment of 50% of the prevailing weekly wage beginning once the child turns 18. The program is voluntary, however, and numerous physicians and hospitals have chosen not to become participants. Virginia has waived sovereign immunity when it comes to tort liability, and claimants are limited to recovering the greater of $100,000 or the limits of any applicable insurance policy in effect. Judgments against the state cannot include punitive damages or any pre-judgment interest. The state’s immunity may extend to doctors employed by it, depending on the level of control exercised by the state, but it never extends to independent contractors. Virginia has never waived sovereign immunity in terms of local governmental units including municipalities operating hospitals. In medical malpractice matters, plaintiffs are required to demonstrate through expert testimony that the healthcare providers attending to their treatment fell below the accepted standard of care. Meaning, their acts and/or omissions diverged from those of a reasonably prudent practitioner in the field or specialty, and they ultimately caused the harm alleged. In Virginia, a plaintiff must present testimony from an expert medical witness who can establish the prevailing standard of care and who can demonstrate the ways in which the defendant fell below it. Experts must provide evidence of their knowledge of the relevant specialty in question, and they must also have an active clinical practice in the same or a similar specialty in the year prior to their service as an expert witness. The only exception to this rule is when the alleged negligence is so clear and obvious that a layperson would recognize it. With more than 45 years of experience fighting for the rights of the injured, we at Eisbrouch Marsh have successfully cultivated an expansive network of case investigators, medical experts, researchers and support staff ready and willing to review records, amass evidence and build the best possible case on behalf of each one of our clients. It is vital that parents of children harmed by labor and delivery negligence realize that they are not alone. The law does provide remedies and the ability to seek financial compensation for the lifelong expenses and disability their sons and daughters are likely to face. It is possible to file suit against doctors, hospital staff members, nurses, assistants and facilities themselves in order to secure justice. The breadth of the potential defendant pool is so vast because birth injuries such as cerebral palsy, brachial plexus damage, paralysis and developmental delays have the potential to impact entire families for decades to come. What makes birth injuries even more heart wrenching is the fact that in many cases, they could have been prevented. Simple failures on the part of medical professionals to properly monitor fetal positioning and heart rate, properly administer labor and delivery drugs or to promptly order a Caesarian delivery when circumstances warrant frequently produce life-altering harm and often even death. If you believe your child’s injuries were the result of negligence in the labor and delivery room, our team of Virginia medical malpractice attorneys stands prepared to help. We are eager to provide straightforward insights and assessments of your case and help begin the process of fighting for the recovery you deserve. The true extent of the injuries suffered and the attendant cost of care for a child harmed by labor and delivery negligence is often quite jarring for parents to discover. Fortunately, the size and scope of settlements and jury verdicts in birth injury lawsuits frequently reflects the seriousness of the needs of such families. If your child has sustained real harm during the labor and delivery process, we understand the feelings of disillusionment, despair and betrayal you are experiencing. The fear and uncertainty brought about by the prospect of mounting medical bills and educational expenses can seem crippling, but we want you to know we can help. Let us bring our decades of experience to bear on your behalf and begin fighting for the compensation and accountability to which you are entitled. To start the pursuit of justice on behalf of your child, contact us at 855-60-BIRTH to schedule a no-cost initial consultation.